Pros: A touching play performed by two excellent actors. Cons: As an experiment in theatrical form it doesn’t really work, and the structure takes away from the sincerity of the story. Well-written, beautifully performed, and a good mix of comedy and drama. Okay, I’ll be honest here. I was not overly enthusiastic when I read the subtitle of this show: The Tragedy of a Woman Who Gave Birth to a Grizzly Bear. In fact, the first connection I made was with questionable films like Mega Shark versus Giant Octopus. In spite of their high entertainment value, that is not a favourable comparison. But occasionally you come across shows that take you completely by surprise, and I’m happy to report that Bear is one of those. An unnamed couple has been trying to get pregnant for some time. She goes to the doctor’s to find that their wish has come true, but not quite how they expected it to: they’re having a baby bear. Confronted with baffled doctors, hysterical tabloid journalists, and mixed responses from their near and dear, the young parents try to make their new life work. Despite its rather bizarre premise, Bear is a very touching and, above all, human story. 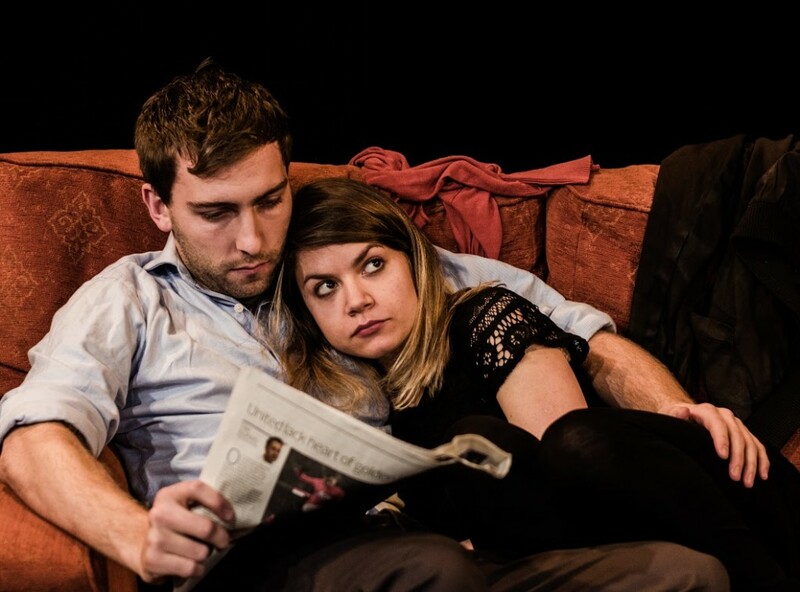 Actors Anna Wheatley and Michael Gilhooly play their parts with absolute integrity. Their lovey-dovey behaviour in the opening scene was a bit too cutesy for my tastes, but they are magnificent as a couple that is slowly but surely driven apart by their new born. The well-written script gives them plenty opportunities to shine as well, with scenes that range from witty to heart-breaking. 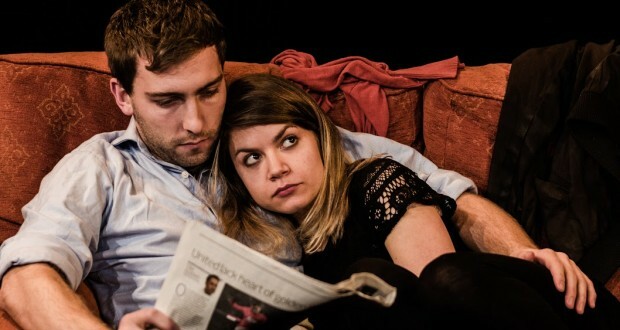 An interesting note on the play is that writer and director Andy McNamee has attempted to create a new form of theatrical interplay between the actors and the spectators. I am one of the many people who are a bit weary when it comes to audience participation, but let me assure you that there’s nothing scary going on here. The actors occasionally approach someone in the audience to read out bits of texts from a script. Very straightforward, and you don’t actually have to go on stage to do it. Nevertheless, I do have a problem with it: I don’t see the point. The website says that ‘our audiences are invited to judge, react and perhaps even play a central part in this moving story’, while the program states that this device ‘questions the audience’s inherent participation in the room’. How exactly this is accomplished by having people simply read out statements that don’t necessarily relate to their own opinions in any way is a mystery to me. It feels more like a gimmick, which is completely out of place in such a sincere and heartfelt story. That being said, there’s no progress without difficulty, and McNamee is certainly brave to take on such a challenge. Bear may not quite work as an experiment, but it succeeds on all other levels.